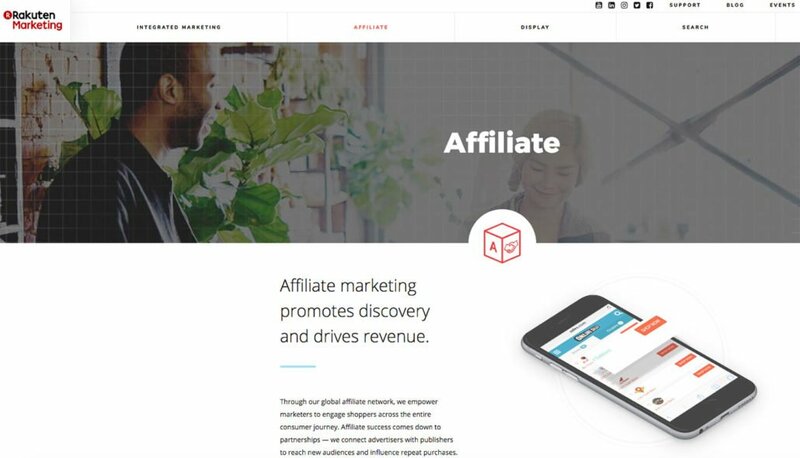 Affiliate networks represent a premium place where merchants and affiliates can meet and discover ways to boost their profit through affiliate marketing. Therefore, it is very important to understand what affiliate networks are and how you can use them to improve your business, regardless if you are an affiliate or a merchant. An affiliate network is an online platform which unites merchants and affiliates and allows them to meet and collaborate on projects. 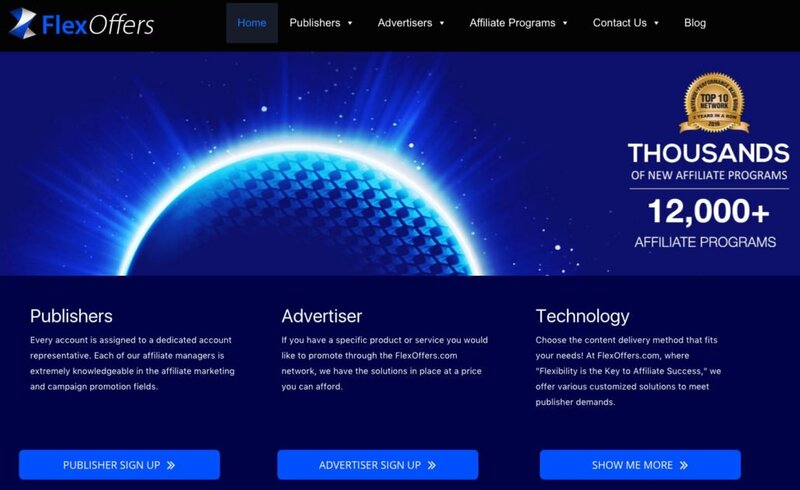 Merchants join the affiliate networks to gain exposure as their program becomes available on the network reaching all the affiliates who are also members of the network. It is a sort of a marketplace where they can expose their program, define commissions, include products, and other promotional materials, etc. They also have tools to monitor program performance and optimize it to increase its efficiency. Affiliates are those who can join the network if they meet specific requirements defined by the network. Once they are accepted, they can see all the affiliate opportunities as they start browsing through the affiliate programs available on the network. Becoming a member for affiliates means that they get access to a platform offering them different programs to monetize their online presence. This is an incredible opportunity, especially for bloggers and influencers who do not have a product or service of their own that would sell. Instead, they focus on promoting others and earning through a shared commission. In order to explore their features and how affiliate networks actually work, it is necessary to start with understanding how to join one. The process is different for affiliates and merchants. Merchants, also known as advertisers, should use the option which is usually called “Advertisers”, “Merchants”, “I’m an advertiser”, etc. This option is usually available on the homepage of the affiliate network in the form of a button. The purpose of such a form is to learn more about your company and how serious you are about integrating affiliate marketing. Affiliate networks are basically online communities, and the owners are usually selective in terms of accepting new members because this directly reflects on credibility and trust of their network. The goal is to attract renowned brands as well as up-and-coming businesses that want to use this type of promotion to improve and expand their business. Starting fee – The fee required when joining which can be from a couple of hundred to a couple of thousands of dollars, depending on the network. Monthly fee – The fixed expense you pay each month for being a part of the network. Transaction fee – Commission paid for each sale or lead generation. Additional listing (category, bold type font, etc.) – These are optional features that could help you boost the performance of the program. Affiliates, also known as publishers, use a separate section of the affiliate network to join, usually called “Affiliates” or “Publishers”. Affiliate networks are free for affiliates. Still, there is a selection process for affiliates who are interested in joining. Again, the networks which want to provide outstanding service only choose to work with people who are really up to the game. They do not want spammers or those interested in earning extra income with no effort. You will start the process using the signup form available for the affiliates. Some networks may hold payments if the monthly payment is below a certain amount specified as the minimum for payout. Some networks also require you to have valid contact details on your website. Some networks even charge a fee for the affiliates who do not generate any commission through a specified period of time. For these and other conditions that apply, it is advisable to go through the terms of service before you join. Once accepted as an affiliate, you will get access to the network and the programs the network has available for you to join. There are quite a few opportunities when it comes to joining affiliate networks, but several of them have been known as the most popular among affiliate marketers. 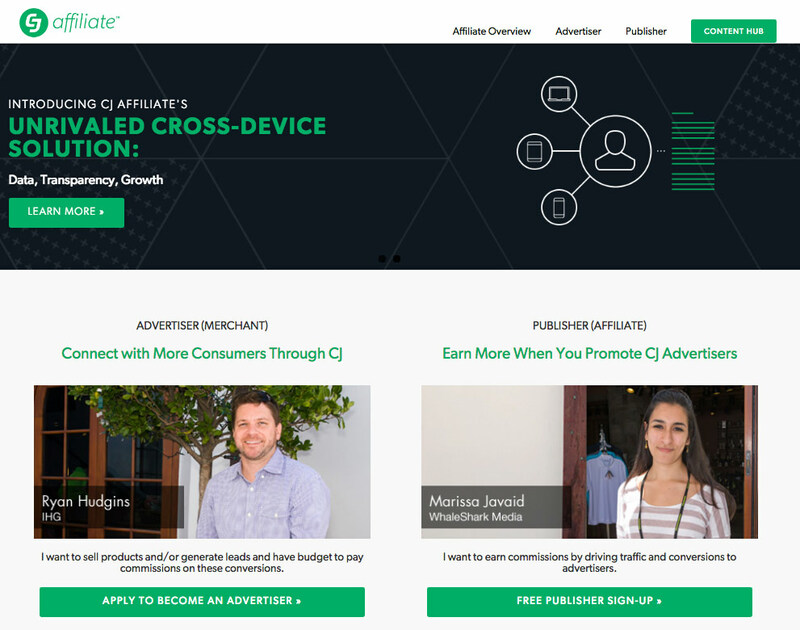 CJ Affiliate is an affiliate network offering both merchants and affiliates an opportunity to increase their passive income through a performance-based advertising. The platform enables real-time transaction monitoring, product catalog, bulk uploads, deep linking, link scheduling, etc. Support is available for setting up an account and making the program available, which is very helpful for merchants who are just starting out with this type of online marketing. Advertiser toolbox – With affiliate customer insights, transaction monitoring, and API/Web services, merchants will find plenty of features to help them create and brand their programs, as well as to track their performance successfully. Lead generation – Another option for merchants is to use the network to generate quality leads through affiliate marketing. Pay per call and pay per performance – Both solutions are available as a way to reward publishers based on their actions. View-through tracking – The feature enables crediting the affiliates based on their influence and performance using advanced CJ technology. 3 service levels for merchants – These include network access (the lowest plan), recruiting and optimization, and full program management. When it comes to network pricing, what is clearly stated is the access fee for merchants which is $3,000 and it represents a non-refundable fee. Deposit is also set at $3,000 and it is also non-refundable. This deposit is used later on for transaction fees and payments. Additionally, there is an annual fee which is $500. Transaction fees are calculated based on the number of sales and lead generation. These fee are calculated as 30% per transaction or $0.30 (whichever is greater). There is also a minimum $500 monthly payout, meaning that advertisers will pay the difference to the CJ company if they are not able to meet this requirement based on their monthly transactions. 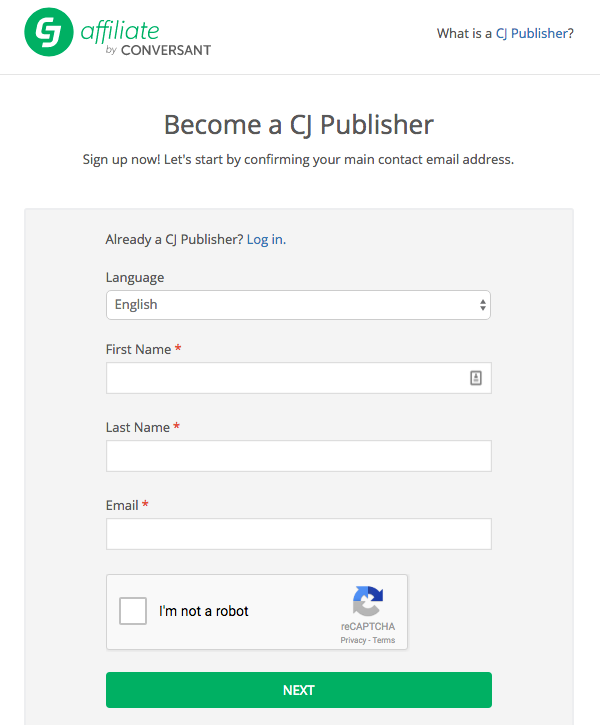 Regarding affiliates, CJ affiliate network offers content and global solutions, lead generation and cross-device solutions, as well as CJ Performer program (CJP) to award high-performing affiliates. There are no setup or transaction fees for the affiliates. The network is dedicated to maintaining this environment for an outstanding growth with online marketing, which is why affiliates are required to plan their promotional activities using engaging content, to optimize their website, and commit to this effort. An account that does not generate any commissions for six months will be deactivated with a $10 non-refundable dormant account fee being charged. Here is another very popular network on the market, with a great reputation among both merchants and affiliates. 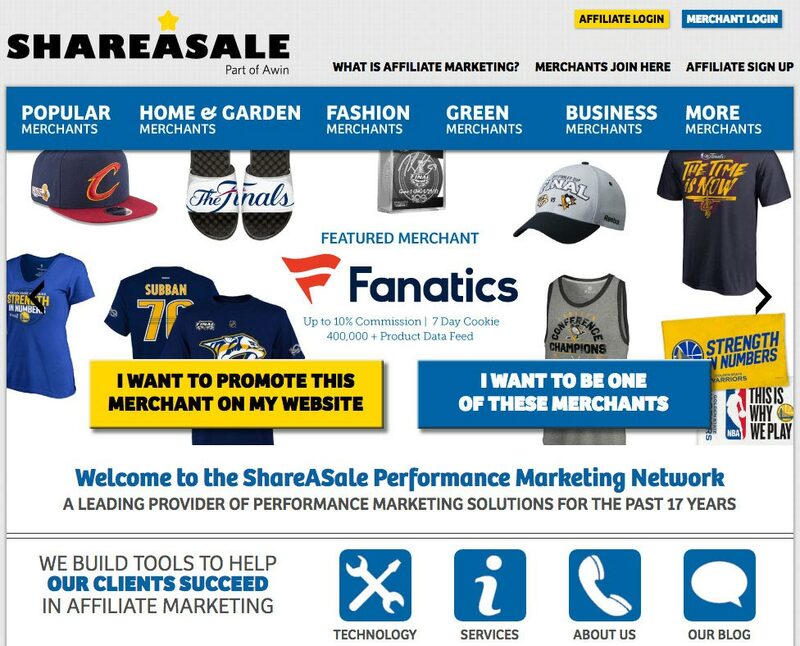 Due to its popularity and screening process that guarantees high-quality participants, ShareASale network offers an amazing set of opportunities to increase sales and boost the performance. Real-time tracking – It helps monitor and track sales as they happen so you can follow performance of particular affiliates. Segmentation – This feature helps you organize affiliates into groups and tag them to deliver private coupons, custom newsletter, bonuses, etc. Welcome kit and program diagnosis – A checklist to help you build your program as well as professional assistance from their team. Clickstream attribution – This feature represents a technology based on in-depth tracking so you can get more information about your affiliates and their performance, in order to refine your approach. Two level of membership – Once you join you get a limited level membership, with PPL and PPS programs. After you receive the first payment, you become a full member with access to PPC programs as well. Transaction fee – It is a fee charged for each transaction, and it is 20%. Minimum fee – If the account does not generate fees in the amount of $25 per month a monthly minimum fee will be charged. There is a grace period when the merchant first joins. Thousands of affiliates, as well as a great reputation, make this network an exciting opportunity for the merchants looking to grow their business using affiliate marketing. Rakuten Marketing is a company behind Rakuten affiliate network. The company is a leader in integrated marketing solutions providing a variety of services including online marketing, e-commerce, e-money, banking, etc. It has been voted as a top affiliate marketing network several years in a row. High-quality membership – Screening process and monitoring ensure that quality affiliates and merchants join the network. Reputation – This is an established name in the world of affiliate marketing. Statistics and transaction reports – These features help with monitoring the activity of the affiliate program. Account managers – You will get professional tips on how to increase the marketing potential of your campaign. Reach – The network processes payments in 202 countries/regions in 25 currencies. Being one of the industry leaders, the features Rakuten affiliate network provides are enough to handle large business campaigns and complex projects that require a powerful and professional tool. As a part of their integrated marketing approach, affiliate marketing shows a great potential to bring value to a business, which is why it is worth exploring what the company has to offer. Like with most affiliate networks, there is no pricing available. This means that you will have to contact them directly through a contact form available on the website. Webgains is a global affiliate network with more than 1800 brands and more than 250,000 publishers from 230 countries. The network unites big players such as Nike, Samsung, and Burberry, to start-ups and small-sized companies, all under one goal – bring value to your company through a quality affiliate program. Webgains also creates an environment called Academy where both affiliates and merchants can learn how to improve their strategies and optimize their efforts to get even better results with affiliate marketing. Marketing insights – Accurate sales tracking and insights related to publishers’ activities are necessary for successful management, which is why marketing insights will be quite a handy feature. Constant improvement – The company is continuously working on improving their technology and features to provide an even better performance of this affiliate marketing network. Global aspect – The international team behind the network, as well as participants from more than 230 countries, make this a truly global network. Instant exposure – When you join the network, your program immediately becomes available to more than 250 thousand publishers which is a very big reach to achieve so quickly. Extensive training – This helps you create quality content that will increase conversions. Selected merchants – Programs are carefully selected offering quite a diversity allowing most publishers to find interesting campaigns to join. Supportive team – Having support with your strategy, especially when starting out, can be very helpful with growing your business and developing the strategy towards success. There is no pricing for the merchants available on the website. To talk about joining and pricing to one of the team members, you will either have to call them or schedule a phone call so that they can call you instead. 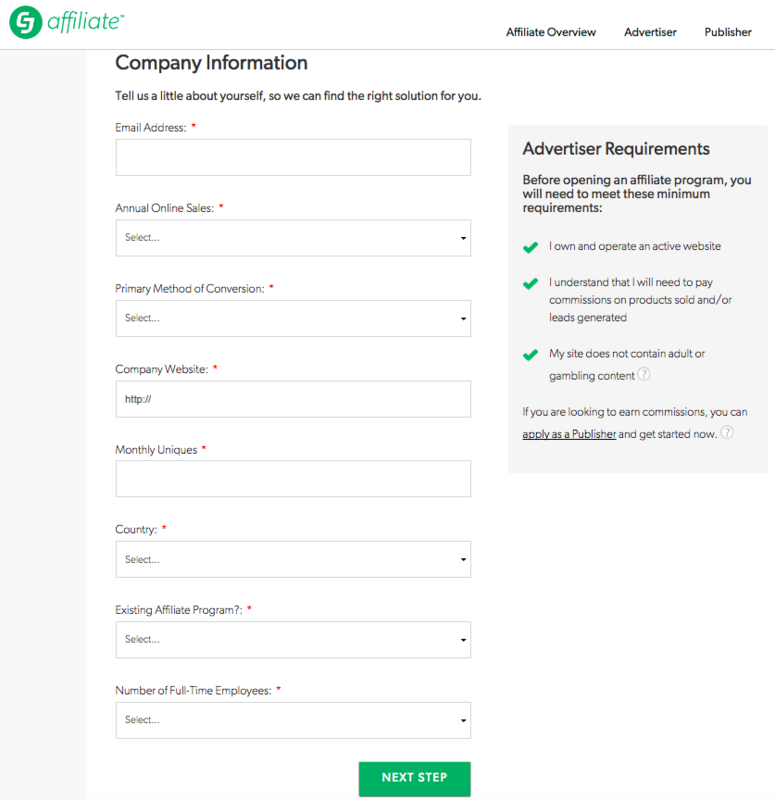 Affiliates join for free, but the process requires a three-step sign-up which includes providing your details, payment details, and website details. FlexOffers is another affiliate network offering quite a selection of affiliate programs to join. In fact, they have over 12,000 affiliate programs which is a great potential for affiliates looking for new opportunities to grow their profit through performance-based marketing. The network also features high-end programs published by renowned brands such as Kmart, HP, Hallmark and Macy’s. Real-time campaign tracking – The features allow you to monitor the transactions in real time and get accurate insights. The reporting tool is also a part of the monitoring phase. Sales summary – The network gives you access to the data about the sales, including publisher ID, clicks, click-through rate, impressions, sales, conversion, etc. This enables a detailed analysis of sales and how the campaign can be improved to achieve better performance. FlexRev-$hare program – You can refer your own affiliates and track bonuses achieved this way. There is even an option to earn up to 50% of profit by recommending others to join the network. Expert affiliate managers that provide help along the way. Affordable solution – Entrance fee and transaction fee are lower than industry standards which make this network quite affordable for merchants, unlike other affiliate networks. This is very important for merchants who are only starting out and exploring the benefits of affiliate marketing. Merchants are required to pay one-time $500 fee when they join the network. $100 goes to deposit which is used to pay affiliates later on. You will also be paying a fee which is 5% of each sale (or lead, conversion, etc.). There is also $25 monthly minimum, which means that you will have to pay a minimum amount if the accumulated transactions during one month do not exceed the minimum of $25. Still, the company is considered a low-cost solution with rates that are much lower than industry standards. Affiliates can join the network for free. There are many more networks available, but before joining any of them, always make sure you check the terms of service and requirements, regardless if you are a merchant or an affiliate. Even though the pricing is not always available in advance, and managing an affiliate program can become quite costly due to the transaction fees, it is usually the investment that pays off. The reach you get when you join the network is unlike any other form of advertising because your program is immediately available to the target group, i.e. affiliates who are interested in promoting all kinds of different programs.